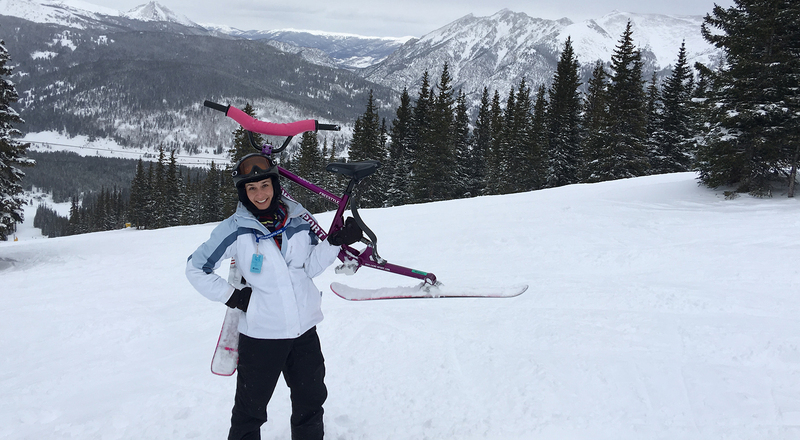 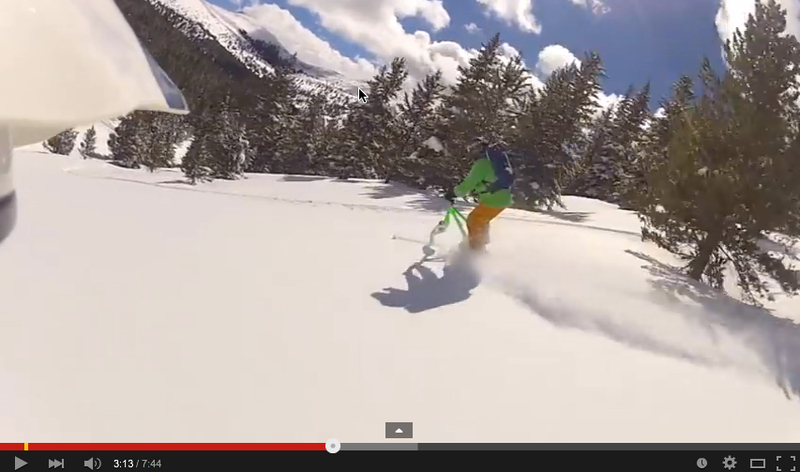 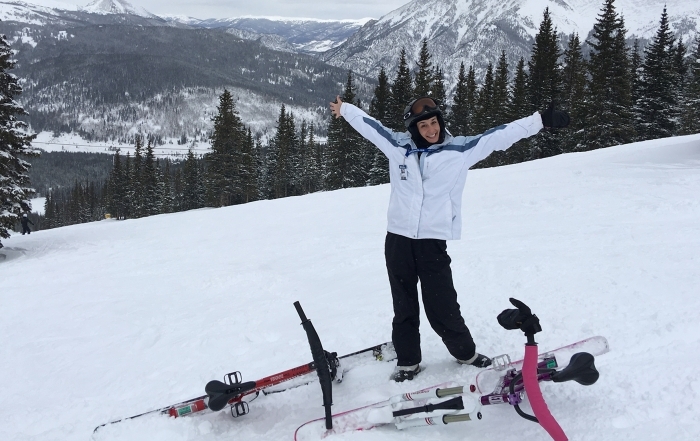 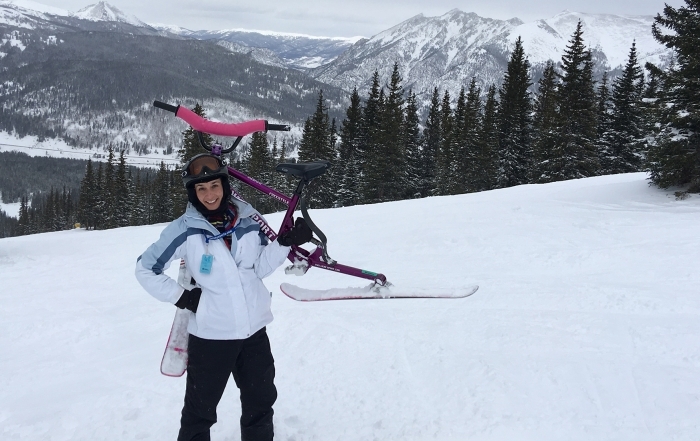 Check out the team riding backcountry at Vail Pass on Alpine Brawler and Launch Ski Bikes. 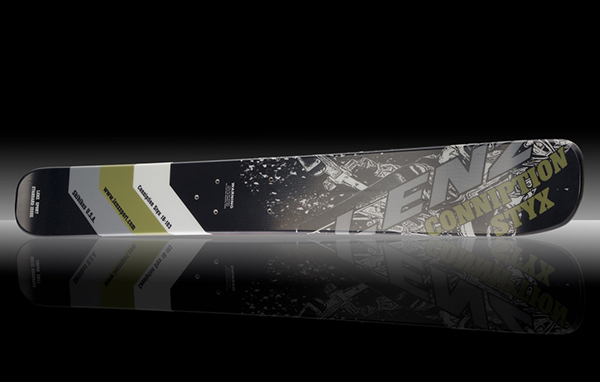 The Unit-B is our latest skibike bringing a lighter duty, lighter weight, and lighter priced ski bike to the slopes. 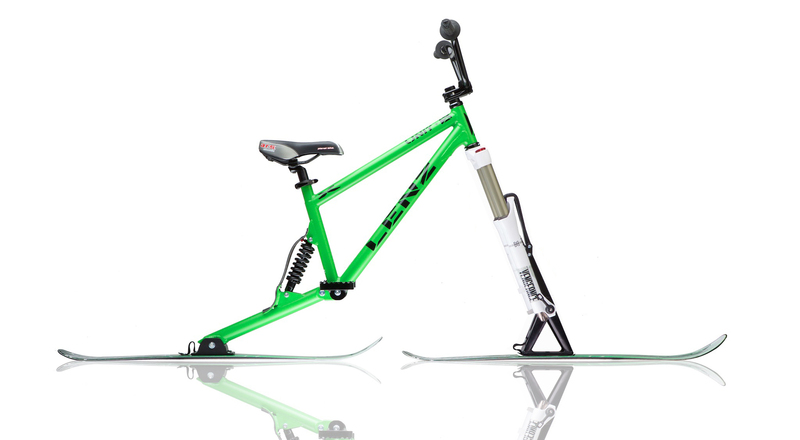 This snow bike weighs in at 25.5 pounds and has a lot of adjustability and set up options that make the Unit-B ski bike perfect for more casual riders or athletes with joint issues, while still being a great economical ski bike for the shredders out there. 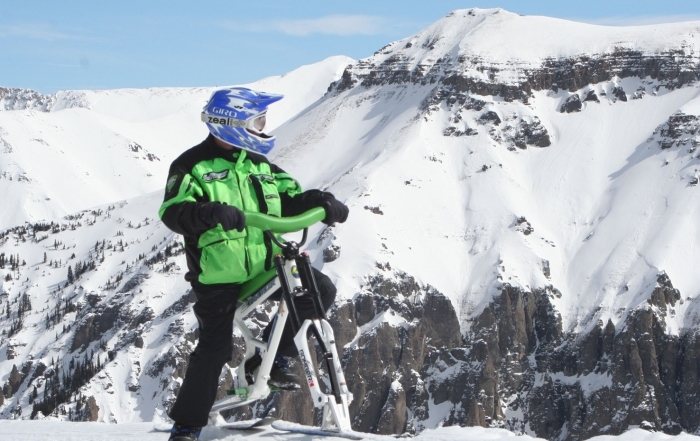 Seat height can be set high for semi standing seated riding or low for freestyle riding, and the foot pegs can be removed for foot-ski riding. 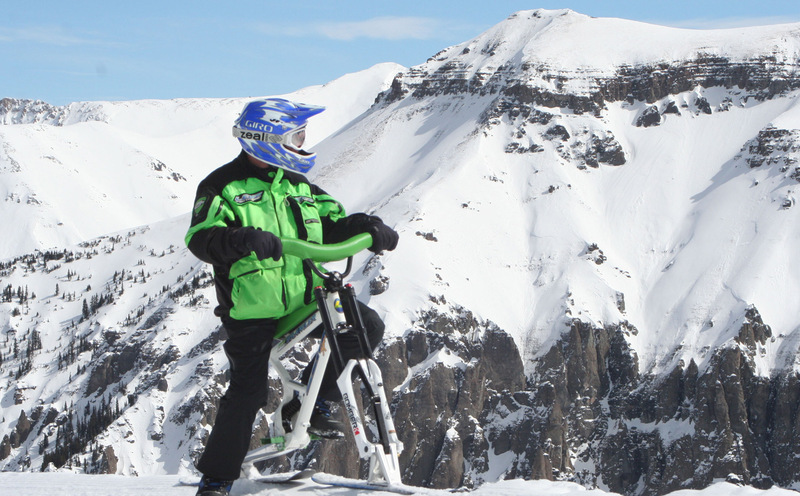 The Unit-B geometry is the same as all Lenz Sport skibikes which puts you in an athletic skier-like stance which allowing you to ride responsively and capable on any sort of terrain.